One of two robbers who held up a 24-hour taco shop in El Cajon fired a gunshot at a witness, but missed, police said Friday. 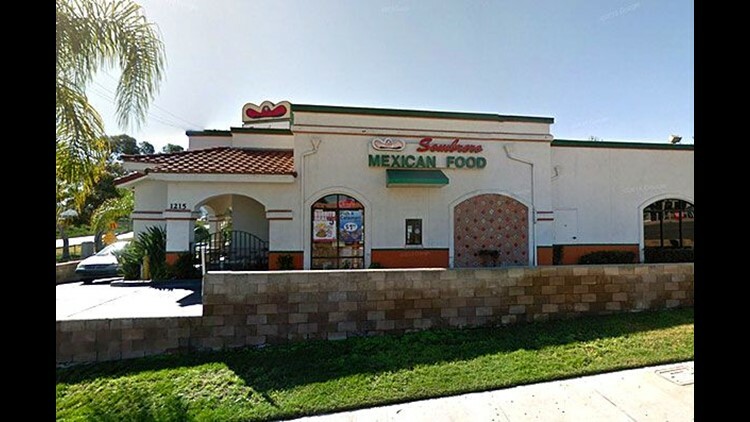 EL CAJON (CNS) - One of two robbers who held up a 24-hour taco shop in El Cajon fired a gunshot at a witness, but missed, police said Friday. Both suspects were described as Hispanic men in their mid-20s, about 5 feet 8 and of medium build. The knife-wielding man had a goatee and was wearing a bulky green jacket. The other had a mustache and was wearing a dark jacket. Anyone with information on the robbery was asked to call police at (619) 579-3311, or Crime Stoppers' anonymous tip line at (888) 580-8477.